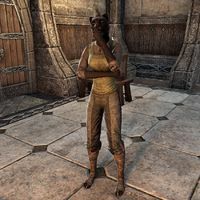 Azuruna is a Khajiit patron of the Phynaster's Stride in the port city of Haven. She has no unique dialogue. This page was last modified on 14 April 2018, at 23:51.